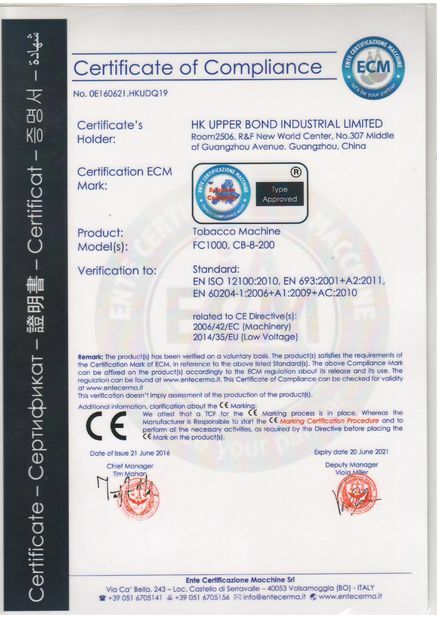 Respected customers, thank you for choosing UPPERBOND company products. 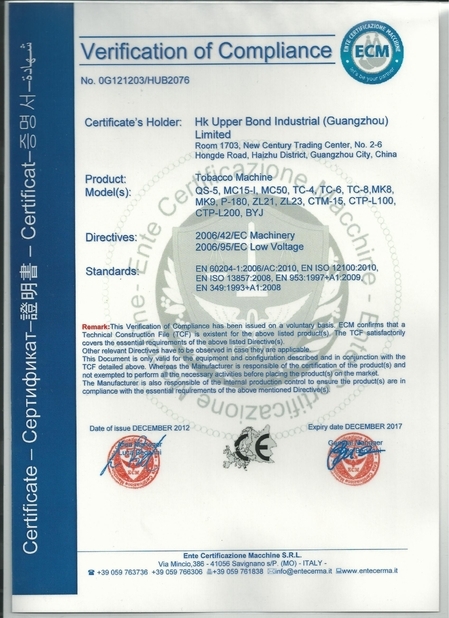 Ⅰ Excellent quality products and professional after-service have been the goal of our pursuit, and also the important reason that we win the customer's trust. 1.According to the customer's requirements, supply the technical guidance and advice. 2.Assist customer equipment installation, commissioning. 3.Provide comprehensive spare parts supply services. 2.Supplying of cigarette materials and trims. 3.The construction of a new cigarette factory. If your products have any problems，pls feel free to contact with us by telephone, fax, E-mail, MSN, we will make the solution as soon as possible.